Gold Coast is one of the best areas for condos in Oahu. If you’re not living in Hawaii, you might not have heard about the Gold Coast. On the east side of Waikiki, right pass the aquarium, there is a small area of condos and a few nice houses on the beach. With the wonderful scenery all over Hawaii, you could expect that just about every Gold Coast condo have a great ocean view. Some condos have a mountain view or have a partial view of the beach instead. No matter what the side is, there is hardly an ugly scene on the Gold Coast. There are quite a few condo to choose from. Most were built in the 50’s thru 60’s. These includes the following: Diamond Head Beach Hotel, Tropic Seas , Tahitienne, Colony Surf, 2987 Kalakaua, Kainalu, San Souci Inc, 3019 Kalakaua Ave Apt, Oceanside Manor and Coral Strand Ltd. The buildings are old in this area. Many of the condos themselves have been re-modeled inside. Thus, once you get in one of them, they look new and pretty. Though these buildings are not the best or most modern, their age gives them the old Hawaii style that locals and tourists love about the Gold Coast. If you want new condo, you may want to look in Waikiki, Hokua, Keola Lai,Koolani. This may be pertained to as charm or character of the place; it really doesn’t matter. Once you live here and get to know the place, you will understand why everyone loves it here. Majority of the Gold Coast condo are for leasehold. Leasehold means that you don’t get to own the land itself. Thus, there is a good chance that you are going to have to give up your unit at the end of the lease. 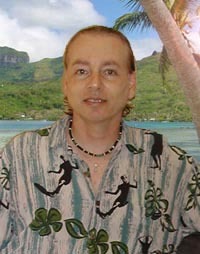 Outrigger Canoe club is an upclass social and paddling organization. This place can be founding the Gold Coast of Diamond head. This is where the fancy people in East Oahu get together for drinks while watching the ocean. On the other hand, there is the Kapiolani Park. The park is a beautiful place where you can find enormous mature trees. There are a lot of activities that you can do here. The place is especially recommended if you want to calm down or have some fun. After few minutes of walking, you may find yourself in the area of Waikiki. Here, you’ll find lots of restaurants and stores that you can think of. 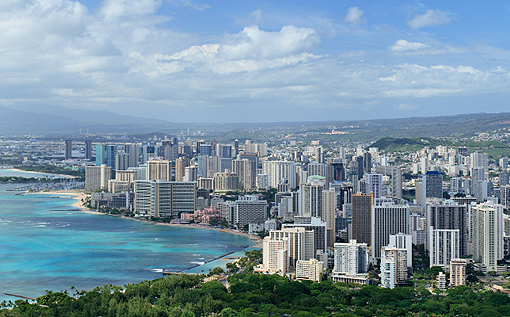 It’s amusing how Waikiki is just a half-mile away but it might as well be a different city. This may be attributed to the tourists in the area. In the Gold Coast, you’ll rarely see any vnew visitors at all. Right next to the Gold Coast are the Honolulu Zoo and the Waikiki Aquarium. From there you can take a short walk up to the Diamond Head Market. The place – the perfect little beach town - is just a wonderful place to live in. How the Diamond Head Volcano Crater was developed? Listing courtesy of Pure Real Estate Inc.. Listing courtesy of Oahu International Realty.